Everest North Col Expedition could be the adventure for you. The immense presence of Everest and the journey to the North Col will leave you memorized. Our Everest North Col Expedition will help you follow in the footsteps of every hero who has ever stepped foot on the north side of Mt. 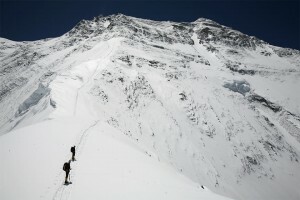 Everest, you will journey in their footsteps and create your own journey and experience on Everest. Climbing on Everest is an amazing once in a lifetime journey to climb on the highest mountain in the world. You will not be disappointed and left with lasting memories of Everest’s north face. We will start our Everest journey in Kathmandu and slowly venture into Tibet towards Mt. Everest. This is a 28 day journey with acclimatization to the lack of oxygen will be our central focus as we journey to extreme altitude. The cost of the climb is $15,500. Contact us and find out about our service, quality acclimatization and high end support for your climb. After following an appropriate acclimatization schedule. We will hike this famous trail from Everest Base Camp straight towards the North Face of Everest before branching east, towards advanced base camp at 6,400m/ 20,997 feet. We will have to make this journey a number of times helping our bodies adapt to the low levels of oxygen. 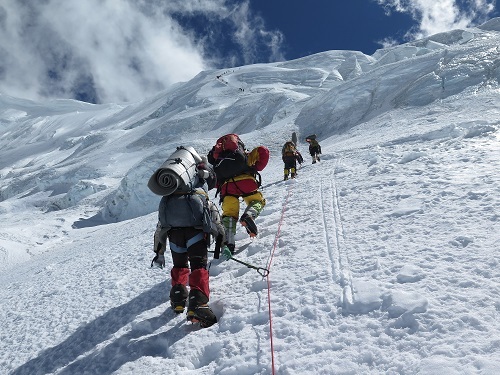 We need to climb high and sleep lower and give time to adapt to the lack of oxygen which is the key to making a safe, successful and enjoyable journey high on Everest. After weeks of preparation we will make the journey up to the North Col of Everest at 7,000m and stand in awe at the mighty Mt. Everest. You will feel like you can touch the summit from this point. This is a challenging trip but the rewards, memories and experience will live long in your memory. Our approach to Mount Everest is via the Tibetan Plateau to the Rongbuk Monastery and Everest Base Camp on the North side of Mount Everest. You then trek up the historic East Rongbuk Glacier following the ‘Magic Highway’ to Advance Base Camp 6,400m/ 21,000 feet below the North Col. 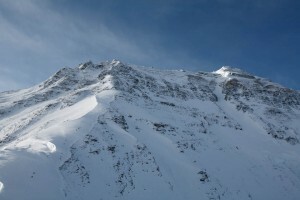 The climb itself is across easy-angled glacier then snow slopes which lead to the north ridge and summit. 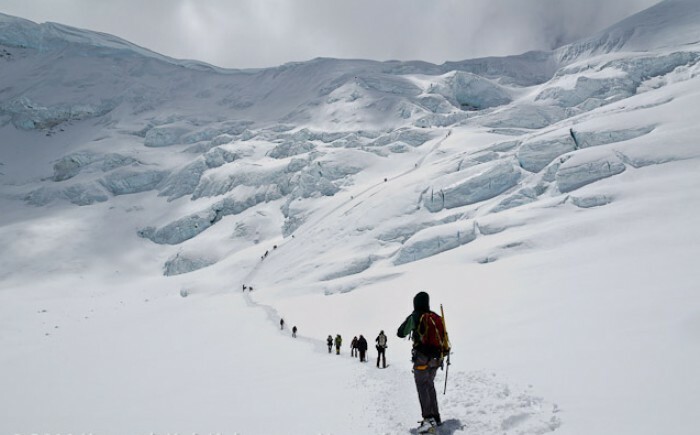 The ground is moderate, so the climb is feasible for those with previous snow and ice climbing experience, who have also trekked at altitudes in excess of 6,000m/ 19,685 feet before. 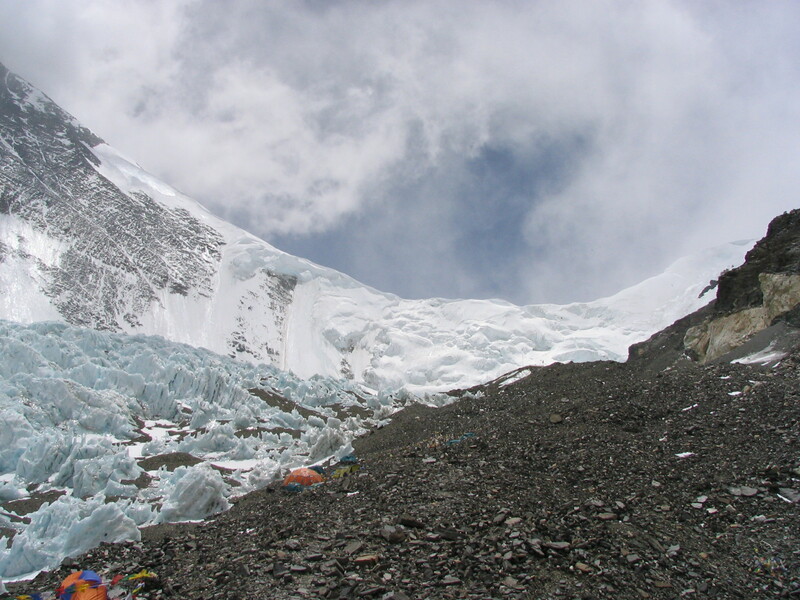 There is also the option to climb to the North Col 7,000m/ 22,965 feet on Mount Everest as part of this expedition and to visit the historical city of Lhasa before and after the trip. This expedition is tough challenge at altitude some previous experience is a must to be safe and successful. “Great trip, excellently organised, best set up and support I have ever received when preparing for an adventure like this. Our Sherpa team were amazing. First class, love you guys.” Maria Mathison, 2013 Read more REVIEWS. You need to arrive in Kathmandu international airport. Once you exit the airport you will be met by our staff and transferred to your hotel in the Thamel district of the city. You can explore Kathmandu and pick up any last minute items needed for the climb. If you suffer with jet lag you might want to arrive early in Kathmandu. Today we will get up early for our flight to Lhasa in Tibet. It will take 30 minutes to get back to the airport and the flight time is 1 hour 30 minutes. Lhasa is at 3,600m/ 11,811 feet so it will be really important to rest, relax and take it easy. Relax in Lhasa at 3,600m/ 11,811 feet and do some sight seeing and sort out our gear. It is really important to rest, keep well hydrated and do minimal activity. Relax in Lhasa at 3,600m/ 11,811 feet it is critical to rest, hydrate and get used to the lower levels of oxygen at this critical height. Excellent acclimatization means spending 4 nights in Lhasa at 3,600m/ 11,811 feet before moving higher. Relax in Lhasa at 3,600m/ 11,811 feet We will do more sightseeing and continue to rest and make sure all equipment is ready for the next phase of the journey to Everest. Our Everest North Col Expedition is under way. We will drive the 250km/ 155 miles to Shigatse at 3900m/ 12,795 feet and do some light hiking to get the body used to being at this new elevation. Drive the 244km/ 152 miles to Shegar at 4,350m/ 14,271 feet. We will stop plenty of time for toilet breaks and try and get a little hiking in if possible. 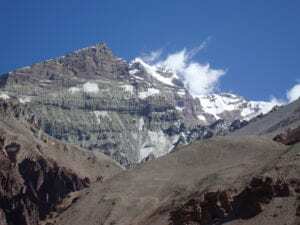 We will have an acclimatization day here in Shegar 4,350m/ 14,271 feet and hike higher to gain additional acclimatization. We will get out and great some great Himalayan views from this point. We are now off the main road and getting closer to Everest. The raw rugged beauty of Tibet and the Himalaya’s are now on display. 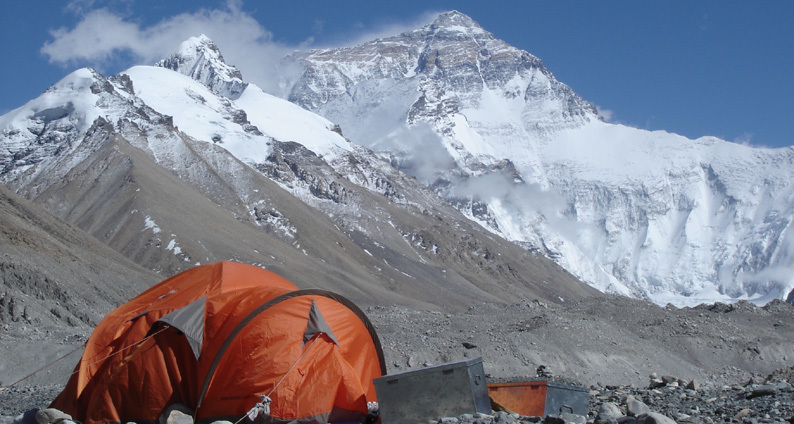 Today we will drive to Everest Base Camp at 5,150m/ 16,896 feet we will set up camp and settle into your new home on Everest. We will be here for a few days so critical to get rest, stay well hydrated and get in some short hikes. Rest at Everest Base Camp. We will get used to sleeping at the higher end of high altitude. High altitude is between 3,500m/ 11,500 ft. to 5,500m/ 18,000 ft. so it is critical to get the body used to being at this elevation. We will do a short hike only a few hundred meters above base camp. 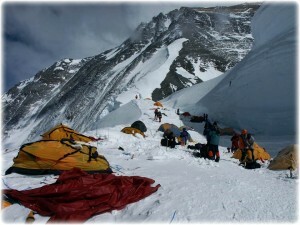 Rest at Everest Base Camp and sort out your tent, equipment and sort out climbing gear. We will try and reach a new height of 5,600m/ 18,372 feet. and gain further acclimatization for moving higher on the mountain. Rest at Everest Base Camp, we will make a short acclimatization hike for a couple of hours and enjoy this classic view of Everest, rest up and get to bed early before making the move higher. Today we will trek to Interim Camp 5,760m/ 18,897 feet This is a 5 hour hike straight toward Everest and one of the famous treks towards Mt. Everest. It is a really special trek. 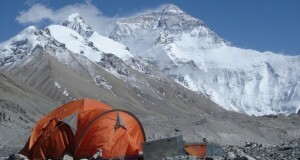 Today we will trek to Everest Advances Base Camp or ABC at 6,340m/ 20,800 feet. We are getting into the business end of our Everest North Col Expedition. 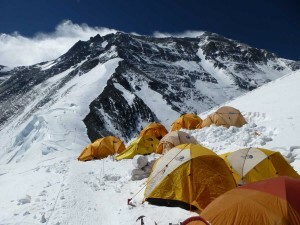 If everyone is feel good we will make an ascent to the North col and sleep there. An assessment of the team will be made. If this is not going to be possible we will ascent and return back to ABC. Hopefully you will be treated to one of those great Everest views from the North Col of Mt. Everest. 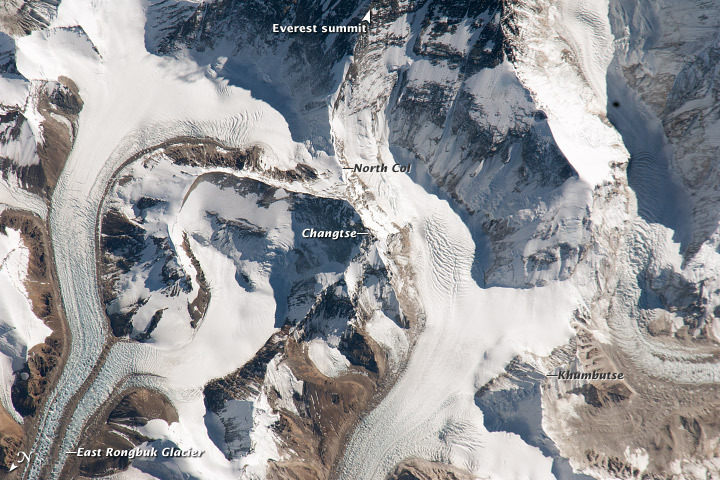 The awesome site of Everest’s North Face will leave you stunned. The view off the North Col of Everest is a truly amazing experience. We have a Spare day for additional acclimatization if needed and this might be used lower down the trail on our Everest North Col Expedition. 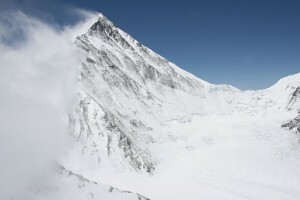 We will be back in the vehicle and leave the Everest region and drive Nyalam 3,750m/ 12,139 feet. or if we can make Zhangmu 2400m/ 7,874 feet if we have time we will aim for Zhangmu as it will help us get closer to Kathmandu and a warm shower. We will drive to Kathmandu aiming to be back early afternoon. 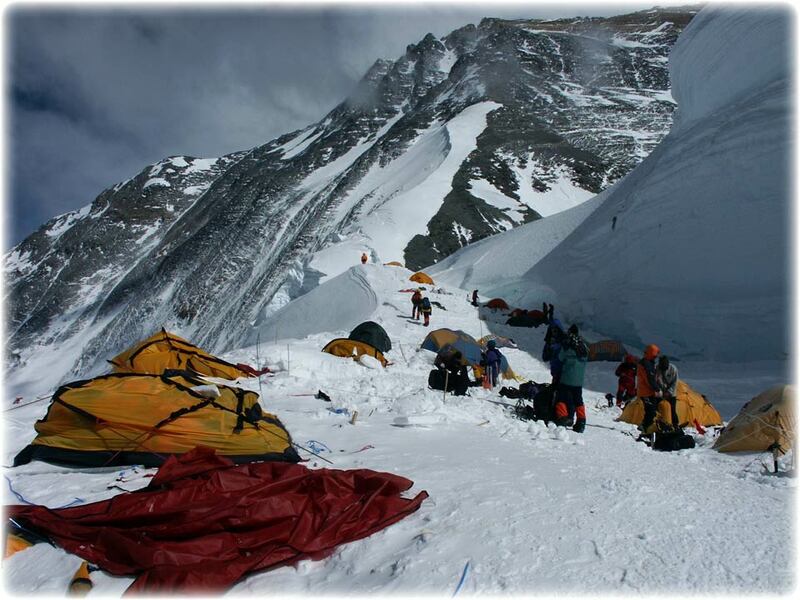 We will head out for a team dinner and award you your Everest North Col Expedition certificates. After a good nights rest in Kathmandu. We will take you out on a half day sightseeing tour in Kathmandu. Your Everest North Col Expedition is officially over. Today we will transfer you from the hotel to Kathmandu international airport for your return flight home. You have been climbing peaks and preparing for something special. Climbing on the north side of Everest to the north col could be for you. Our Everest North Col Expedition could be the climb for you. If you would like to sign up for our Everest north col expedition, start working with us on your training and preparation. 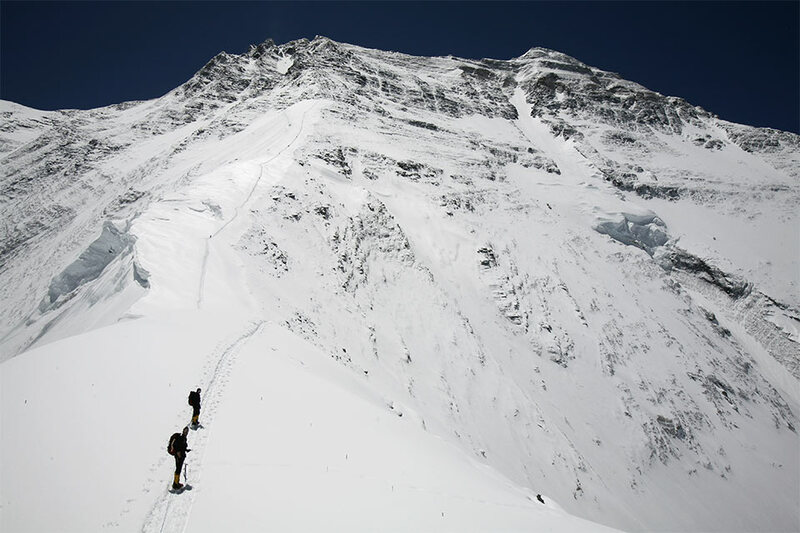 Get in touch and take your first step towards climbing on Everest.